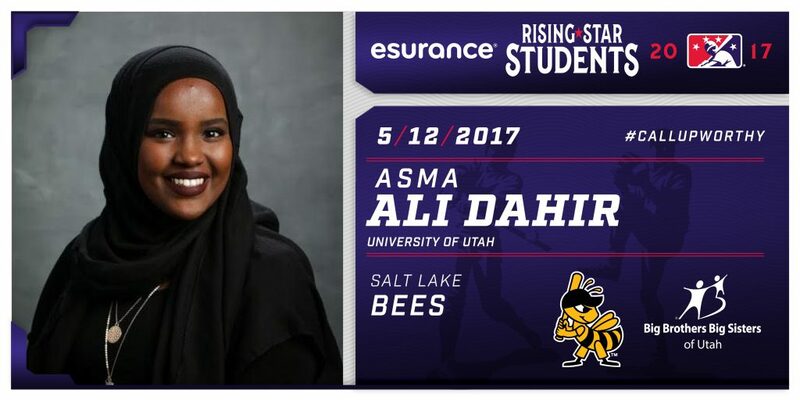 This summer, Minor League Baseball and Esurance named Little Sister Asma an “Esurance Rising Star Student” and awarded her a $5,000 scholarship for college expenses. 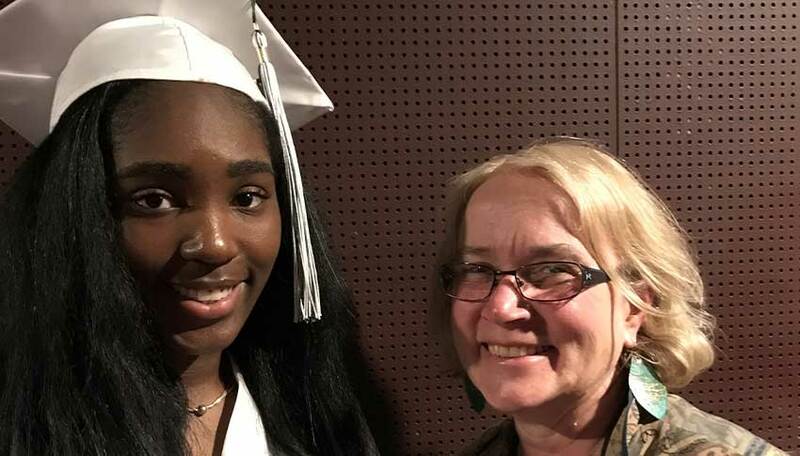 She accepted the award during an on-field ceremony before the Salt Lake Bees game, her hometown Minor League Baseball team, on May 12, but her journey to becoming a scholarship winner began long before she even stepped foot in a classroom. 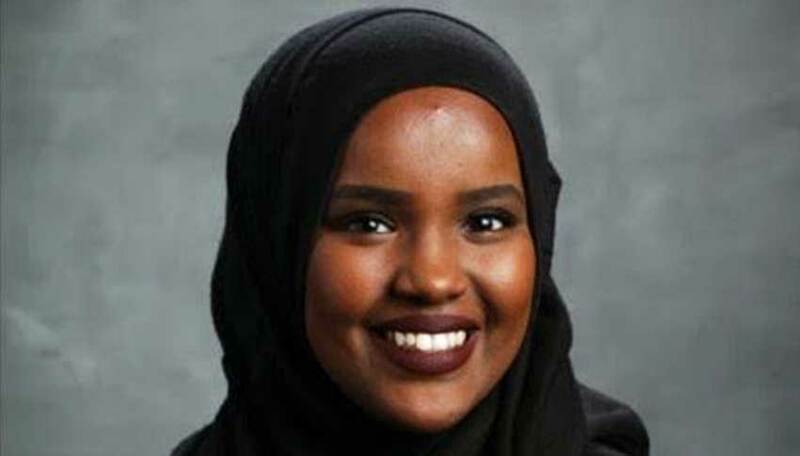 Approximately 18 years ago, Asma’s mother fled Somalia, making her way to the United States, toting three toddlers and pregnant with twins Asma and Anisa. She had to leave her husband behind in Somalia. Two years later, they would all be reunited in America. The twins’ first matches were with Big Sisters who were also twins themselves. 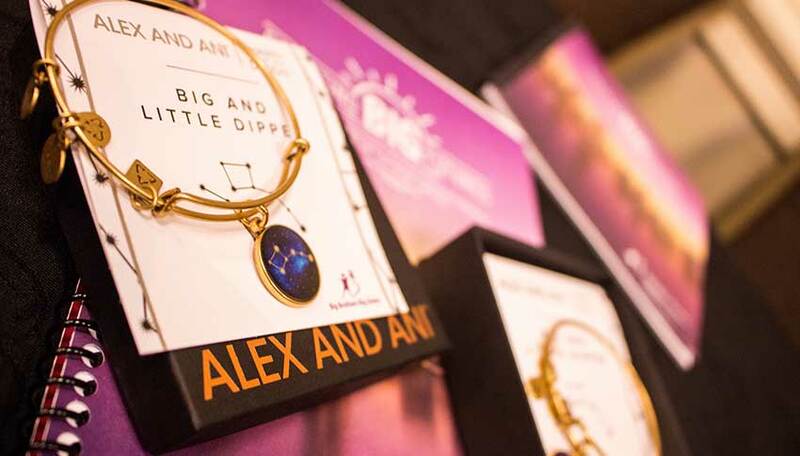 They had other School-Based Big Sisters throughout elementary school and then transitioned to the Community-Based program in middle school. Asma says her involvement with Big Brothers Big Sisters helped her accept herself. Now, with a scholarship in hand, Asma is headed to college this fall to study neuroscience. This summer, she’s participating in an internship program for surgical technology. She wakes up when it’s still dark out in Salt Lake City and heads to the hospital to start her day. The job of a surgical technologist is to label the medications so the patient receives the right one during surgery, sanitize the surgical tools and hand instruments to the surgeon. “Just being in the operating room makes me happy, it’s amazing. And I’m getting a feel of how being a surgeon is,” Asma says. Seeing how Big Brothers Big Sisters affected her life has led Asma to want to support other girls in the same way. She won the Miss Africa Utah scholarship pageant in her senior year of high school, and while she could have used the scholarship money for tuition, she chose instead to use it to create a curriculum for girls. Seeing her children succeed was once only a dream for Asma’s mom. Now, it is a reality as she sees her daughter start college. To meet our other 12 2017 Esurance Rising Star Students, click here.